When company founder, Curtis Williams, started North Street Bags, his mission was simple enough. He wanted to make high-quality bicycle panniers and backpacks with homegrown materials, by hand, one-by-one. Only a few years in, he’s building a loyal following of people drawn to his clean designs and uncompromising attention to craftsmanship. The Flanders is his latest full-featured backpack and it’s the perfect solution for anyone looking for a daily tote-around, or light travel hauler. If you’re anything like me, I always seem to have a backpack somewhere in my orbit. Whether stashed behind my car seat, tucked in an overhead bin when I fly, or on my back as I ride my bike or motorcycle around town, I always have one with me. 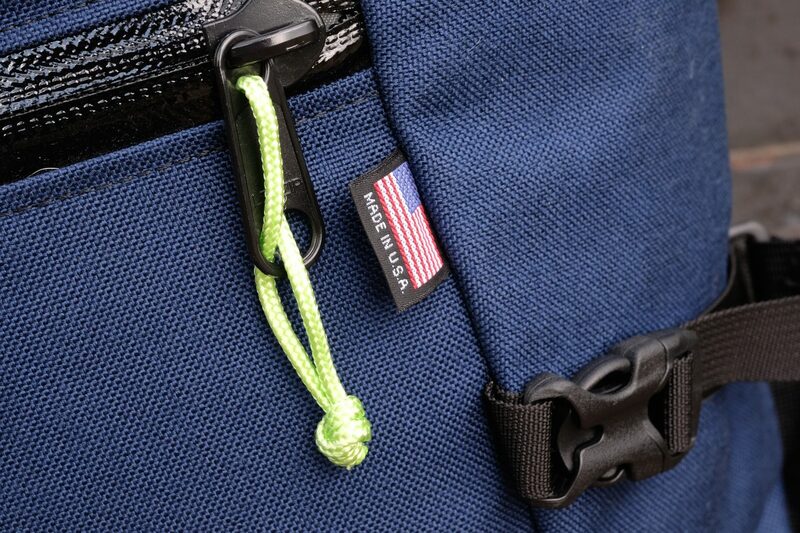 My backpacks have to be durable, weatherproof, and offer just the right amount of organization to keep my must-have items in easy reach. The Flanders ticks all of those boxes. With roughly 32 liters of storage capacity, the Flanders is a perfect size for daily duty. 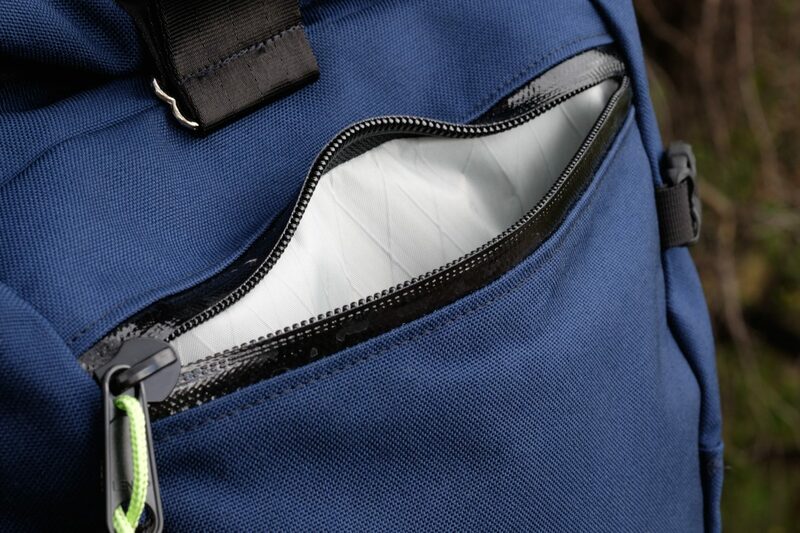 The slim profile and rounded bottom gives the pack a unique and ergonomic shape helping to keep the load as close to the user’s back as possible for a more-balanced carry. The padded back panel is made of on open-weave mesh for maximum comfort and breathability and the contoured shoulder straps eliminate unwanted pressure points on the neck and shoulders. It looks deceptively simple, but it’s obvious a great deal of time was invested in the pack-to-body interface. Even when crammed full of heavy items like laptops, cameras, and perhaps a growler of beer, the Flanders carries effortlessly. Made of 1000-denier Cordura with a waterproof X-Pac sailcloth liner, the Flanders has enough brawn to endure the most demanding environments and will undoubtedly last well beyond the owner’s years. The main compartment is weather guarded by a roll-top closure secured with a heavy 2-inch strap and quick-release buckle. Two waterproof zippers access external storage compartments and another pair of open-ended pockets on the sides fit water bottles, or in my case, a small travel tripod. Compression straps on the sides keep the load snug, but also help secure oversized items to the outside of the main bag. Inside the pack, sewn into the heavy sailcloth liner, is a pair of velcro bands used to secure a removable organizer pouch. A padded sleeve positioned agains the panel closest to the user’s back helps balance the weight of a laptop while keeping it protected. That sleeve easily accommodated a 15-inch laptop with ample room to spare. 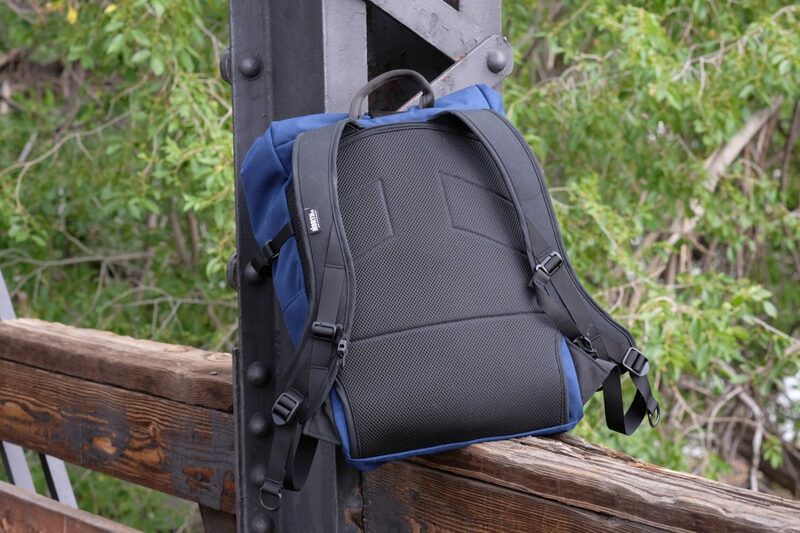 Available in six colors, each Flanders pack is made to order and can be customized with additional features like a hip belt or removable internal organizers. The turn around time is 3-5 days, which for a handmade product, is quite impressive. And best of all, it’s made right here in the US of A.